Rumours were confirmed in August that La Tania would open a week earlier than normal (and close a week earlier too). The decision was based on many previous years snow conditions, tour operators requests and the fact that lift company resources are in place making it easier to open earlier. 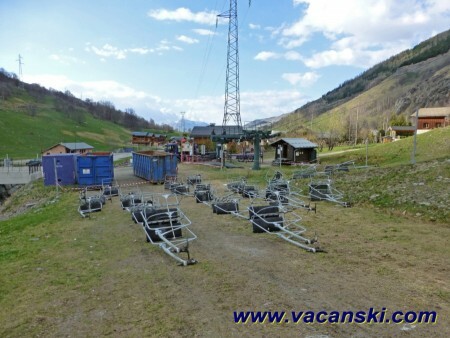 Also, with a very early Easter in 2016 and the fact that almost everything was closed in La Tania and Courchevel by the last week of the season last year it does seem to make sense - there's at least plenty of staff training or people looking for work in that first week! This looks like a record for Summer work on the ski area with 6 new pistes now marked on to the newly updated 3 Valleys 2016 Piste Maps. You could even make it 7 really... 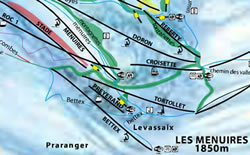 The Mottaret development and new pistes are noted at the bottom of the new lifts section. This piste goes underneath the zip wire and is a new official route down to the Orelle area to what is often referred to as the 4th Valley. 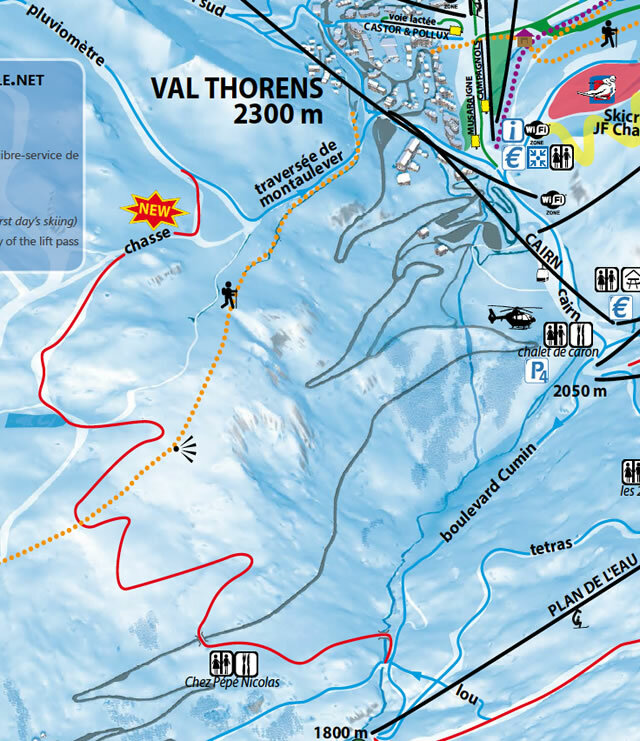 After lengthy discussions between the lift companies finally a link from Val Thorens below Pluviomètre near to the Les Menuires area to the Boulevard Cumin and the (new last year) Plan de l'Eau chair lift has been created. 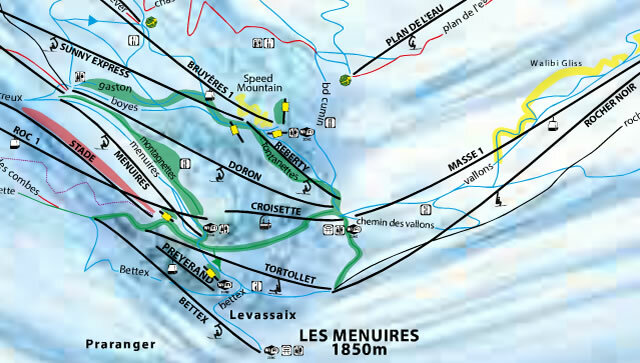 Over in Les Menuires there's work at the top of La Masse so blue run skiers can enjoy the summit on the Bouquetin and modified Choucas pistes. In the centre of Les Menuires there are improvements for beginners with the new green piste specifically marked out now - The Montagnettes Piste. 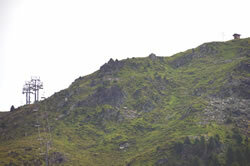 The return of the Plan du Vah piste from "Fruit Junction" (between 1650 and 1850 at the bottom of the Roc Mugnier & Aiguille du Fruit lifts) down to the road at the hairpin on the way up to 1850 from 1650. 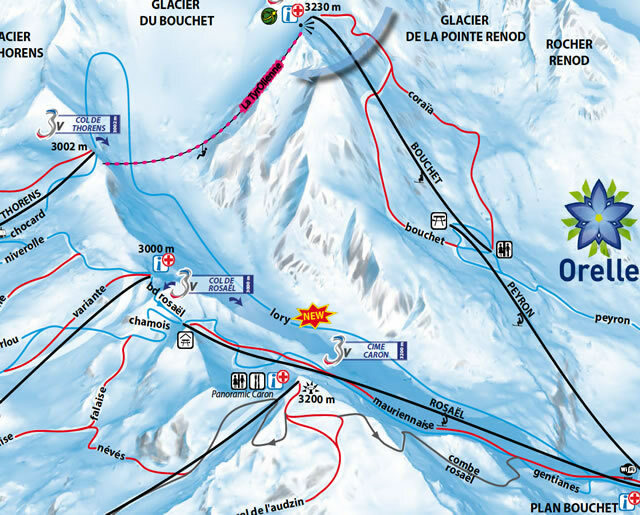 Currently this run will just go down to a bus stop as it did when marked on the 2012/13 piste map - it was a blue run then, now it's a red. Plans for a future lift and/or continuation to the new Aqua Centre at 1550 (opening in December) are also rumoured. The new St Martin Express 6 seater chair - hopefully removing one of the last bottlenecks in The 3 Valleys and meaning an extra drink down in St Martin de Belleville. 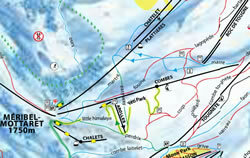 The new Bettex lift (ex St Martin 2) is now longer and goes up to La Violette piste giving direct access in to Les Menuires. Worth a ride down to the bottom of this lift now! The new 2 stage Combes 1 & 2 chair lift with mid-station for beginners, the new green floodlit pistes Little Himalayas and the Yeti Park plus the Arolles beginners drag lift. The old Combes, Arolles and Table Vert chair lifts have now been removed - with direct access to Les Menuires from the top of the new Combes chair via Roc de Tougne drag lifts or Tougnete2 chair. A lot of work this summer on developing new easy routes down to resort level, a new Combes chair with 2 stages, a new beginners drag lift, new green piste, night skiing and a new sledge run. Improvements to the green La Tania resort run continue with Plan Fontaine widened in places to reduce the steepness around the bends and some of the hairpins have been smoothed out a bit more to make it easier for beginners. The trees near the bottom of the Troika free drag lift have come down and grass re-seeding work on the Bouc Blanc and Lanches piste has been completed. 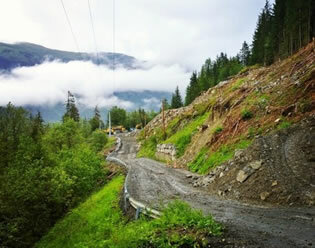 Some much needed work on the river / drainage near the gondola station has taken place but whether this will stop end of season flooding on to the road below remains to be seen. There are some new snow cannons over near the Signal area of 1650 - The Three Valleys boasting nearly half of its area now covered with snow making kit. 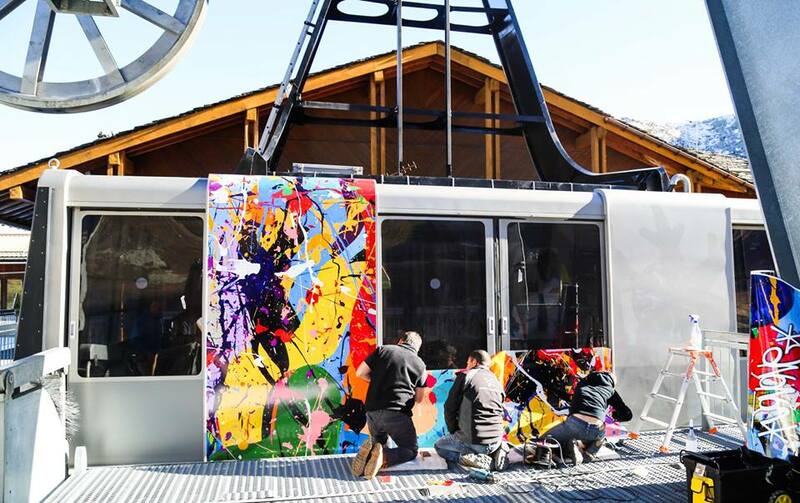 One of the Saulire Cable Cars is having another paint job - after the retro "wagon train" look from a couple of years ago we now have an Urban Graffiti look... Certainly a bit brighter mind! As well as night skiing on a Wednesday on Verdons and the Family Park there will be the opportunity to ski late in to the evening with the Ski Patrol this Winter in Courchevel and learn about their work. It will be marketed as Last Tracks. 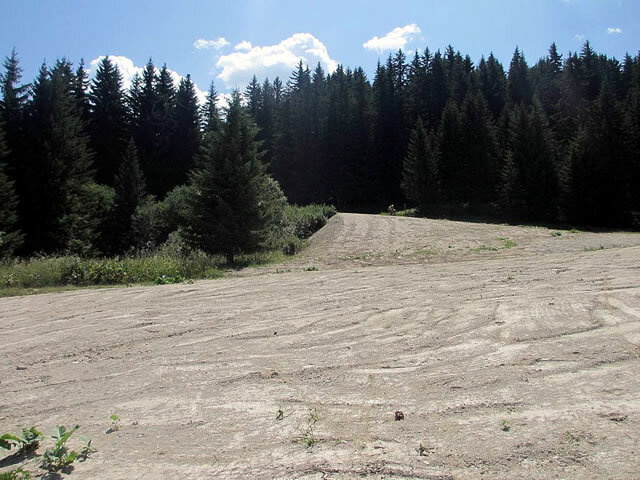 A parallel slalom run for all skiers is being created - building on the BMW times/video run last season. The Olympic medallist himself will be attending the Alexis Pinturault Cup at the end of the season so you can take him on. The technology is not quite there yet to automatically detect a missed gate yet though is it? But you can check on the video of course. Keeping up their green credentials and following the use of hybrid piste bashers, the S3V lift company has taken delivery of new BMW I3 all electric, carbon fibre body shell cars for this Winter - handy for local use as they only have a 100 mile range on a full charge. 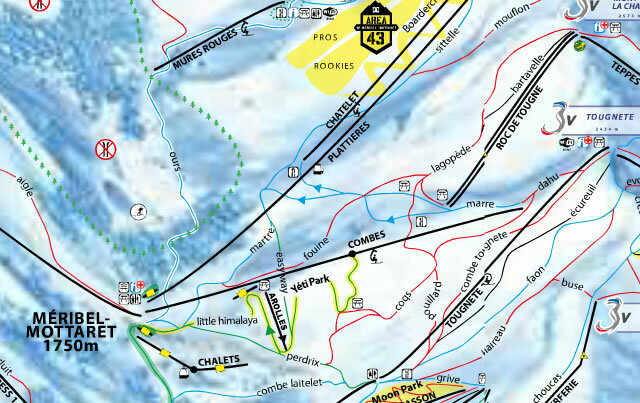 New on the piste maps for 2016 is a new marking on certain runs with a PEUF logo. According to the key "These runs (when open) are powder guaranteed after snowfalls". Which looks like it means they won't be groomed following a decent snowfall. 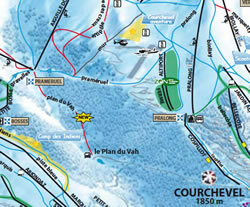 Pistes in the Courchevel Valley include Jockeys, Jean Blanc, M, Combe des Pylons plus the runs down from Chanrossa and the Creux Noirs lifts (always last to open following heavy snow on any case). 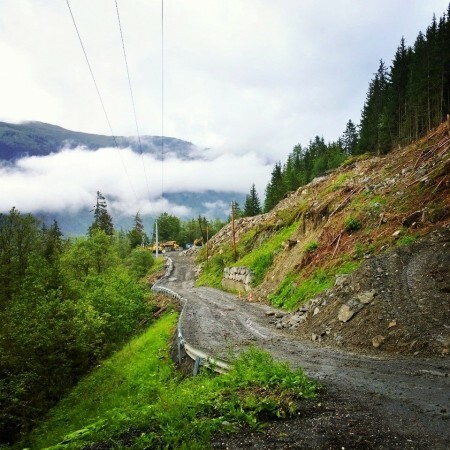 The development of Courchevel 1650 including the area where the pistes come in to resort along with new gondolas is expected to start next Summer. As well as the new Yeti Park and Himalaya piste experiences detailed above, there will be 2 magic carpet type lifts accessing green pistes in resort. Night sledging from the top of the new Combes chair is promised along with a dedicated evening sledge area in the centre of resort near the bars and restaurants. 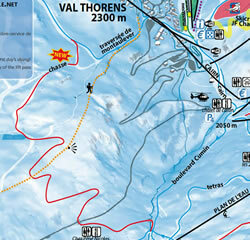 The automated timed/video parallel slalom run in Méribel has moved from the Moon Park to the Altiport area. Another photo opportunity to share automatically on social media has been placed at the top of the Olympic chairlift. The Altai Dragon trail in Méribel is another fun piste from the Loze Express chair with "full-size dragons"in the forest! How big is a dragon anyway? 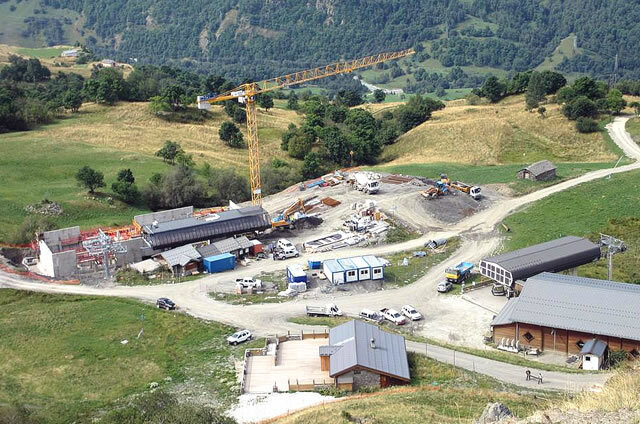 From Les Menuires Tourist Office: The resort is going to develop the beginners’ areas in the ski area, adding new pistes and new spaces just for them. 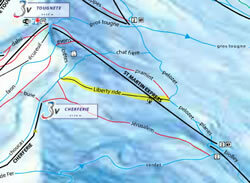 Les Montagnettes slope in the Croisette area will be the first. The Forêt piste in the Masse-Bettex area will follow, and a new magic carpet will be installed for beginners at Le Pelvoux piste in the Croisette area. The project will be spread over several years. A new Aquafun and Wellness Centre opened in Les Bruyères centre with pool, slides, games, waves, jets etc plus adults only jacuzzi, hammam and sauna with the full Spa treatment works too. There's a push on family friendly (but fun) runs being made, starting with the Funslope which will be almost 1km long with jumps, tunnels, banked turns and even sound effects! At the other end of the scale is Fight Ski Club - A World Cup class Ski Cross track with video cameras and automated timing technology (rather like the BMW automated timed runs at the Stade in Courchevel). 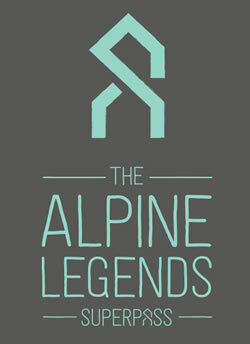 Dedicated areas are to be made available for the growing sport of Ski Touring. 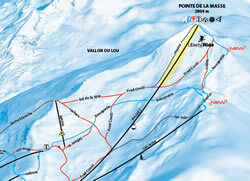 A different piste will be allocated am & pm for Ski Touring and will be open outside the normal hours. Digitalized Snow Groomers are new this season - Looks like it's a GPS tracking system for the piste bashers that should lead to better snow and water management for the snow cannons. New augmented reality binoculars will be freely available at the Cime Caron and Col de le Chambre summits - makes those orientation tables look a bit old hat as the surrounding mountains will be named as you look at them - can't wait! 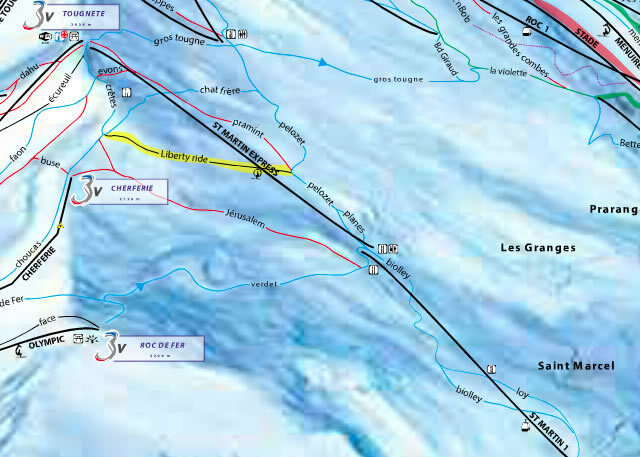 No more news has been received on the proposed development of "Le Borgne" area above La Folie Douce between the 3 Vallées link and the Peclet Funitel. The plan was to use the old Portette lift here but permission was initially refused - the lift has been placed in storage and is apparently up for sale. The Stade drag lift which is also near to this area had been rumoured to be replaced but this is not happening this Summer at least. 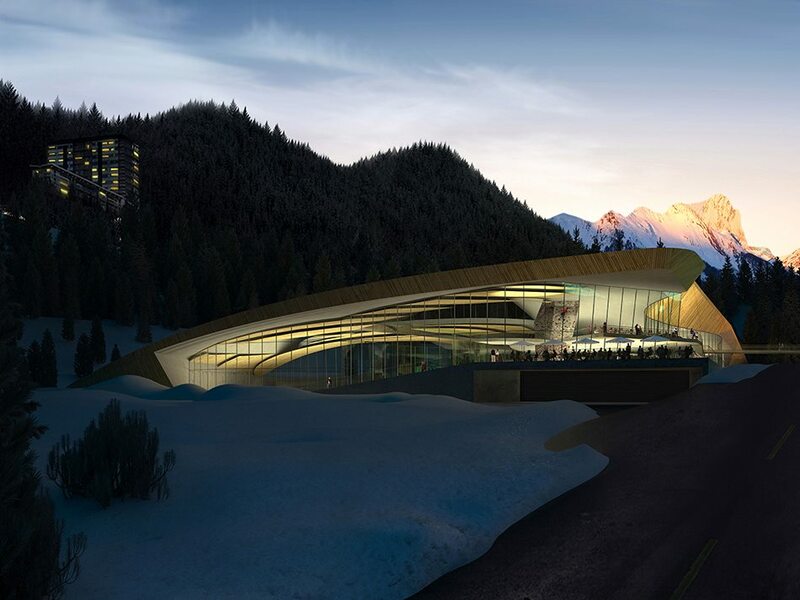 The Thorens & 3 Vallées Funitels have been refurbed in the shape of plane wings - "innovative architecture" apparently. Other new activities this season see language lessons with your ski lessons (French or English lessons available), snowshoeing with a bit of yoga thrown in and new ice driving facilities at the Alain Prost Ice Driving Track. Continuing the social media posting of videos theme - Val Thorens now has this at their Slalom Stade with a giant new screen you can watch yourself on straight away too when doing an end of week ski test for example. 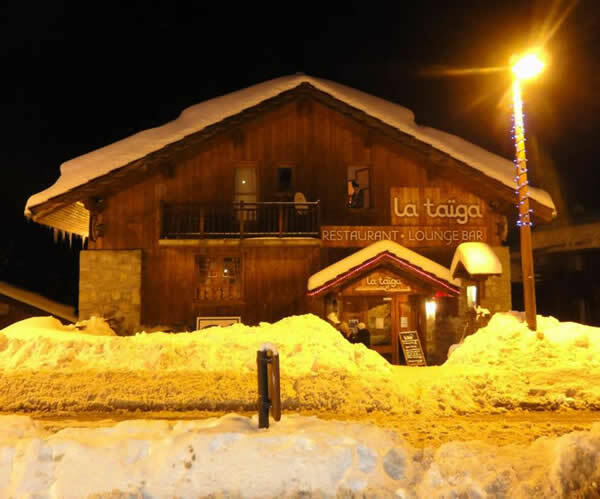 Apres Ski News - La Tania Round-up and Restaurant / Bar News etc. It's La Tania's 25th Birthday this season and there'll be various events and promotions around April time to celebrate a quarter of a century of La Tania. 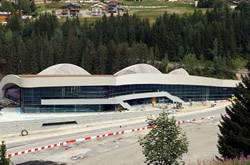 Aquamotion near Courchevel Village 1550 (that’s Moriond or 1650 up on the hill above) opens on 15 December 2015 after being under construction for 2 years. A very impressive place with indoor & outdoor pools, 25m training pool, aqua-bike fitness, sauna, hammam, spa, diving boards, wild river rapids, climbing wall and indoor surfing wave! Several packages with spa, beauty treatments, hairdressing & massages are available but basic adult charge for pool access will start from €22. 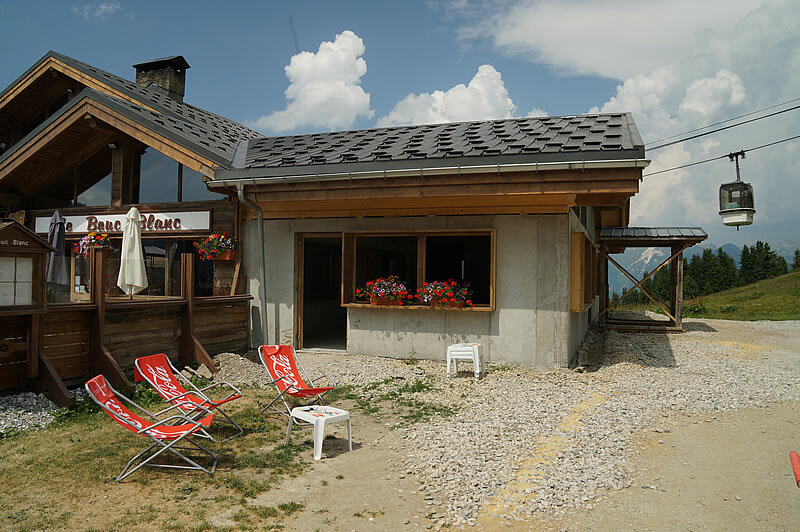 The Bouc Blanc above La Tania has had an extension at the front (where the snack kiosk was) for a much larger bar / snack area. New toilets are promised too – those shared urinals with the ladies will be no more! Expect the deck to be extended to cover the front of the new extension too. This view from inside the existing bar area looking out to the new extension. 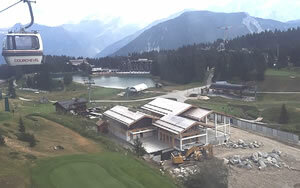 With more traffic coming via the new Foret lift from Le Praz this place promises to become busier than ever on a sunny day. A new heated deck on the terrace area is being constructed - work just started pictured here - part of the new French regulations to conform to limited accessibility regulations. New loos promised too. Opening Night is set for Friday 27 November and we hear an updated slightly smaller menu but with fresher and more local produce is to be announced. Regular bands expected include Bring Your Sisters, The Dominos, Dutch Courage, The Elements and Coco & The Butterfields. 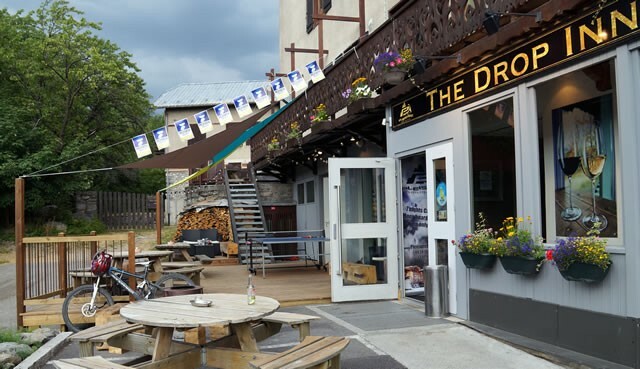 Another new deck, this time at The Drop Inn in Le Praz. La Taiga will have some fresh new friendly bar staff this Winter with Fusil upstairs managing the restaurant. Opening Night is set for Friday 4 December and Bring Your Sisters Funday Sundays are forecast! La Bouitte at Saint Marcel neat St Martin de Belleville has been awarded a 3rd Michelin Star - The first restaurant in the Savoie region to gain a 3rd star (bare in mind there are only around 120 in the world, only 4 in the UK). 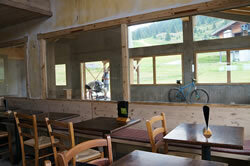 Open for lunch with transport for skiers from Wed to Sat. Other Michelin Star news is that L’Epicurien in Val Thorens and the L'Ekrin restaurant at the Kaïla Hotel in Méribel are the latest 3 Valleys restaurants to be given a one star award. 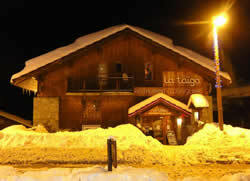 La Casa is a new Italian Restaurant and wine bar in Courchevel 1550. The restaurant in Orelle (aka The 4th Valley) now has a snack bar / takeaway facility for quicker refuelling when time is short (it's a long way back!). Le Farçon in La Tania has a few interesting changes to their menu this season with desserts to takeaway and eat on the lifts! Michelin-starred chef Julien is also preparing food for The 3 Valleys promotional parties in Brussels, London & Lyon. New 5 Star Pashmina Hotel in Val Thorens - Take your pick from 42 rooms & suites ranging from 19 to 70 m², 8 "Cosy Homes" from 60 to 155 m², and two 130 m² chalet apartments, or the luxury of sleeping a little closer to the stars in the rooftop Igloo Pod. 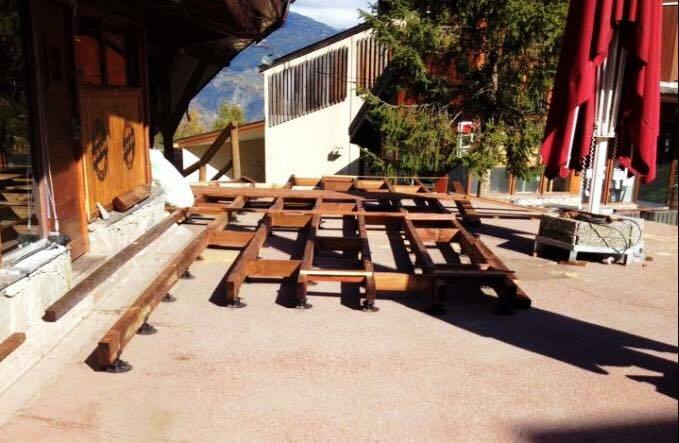 Another couple of new decks with TUI Hotel St Louis in Courchevel 1850 replacing their deck and entrance steps plus the Chrome Bar in La Tania looks to be updating theirs too. White 1921 is a new (expected to be) Four Star hotel opening on 19 December 2015 situated on the Croisette in Courchevel 1850. Looks old from the outside but new & boutiquey from the inside with just 25 rooms, White 1921 is yet another hotel in Courchevel with a sister hotel in Saint Tropez. 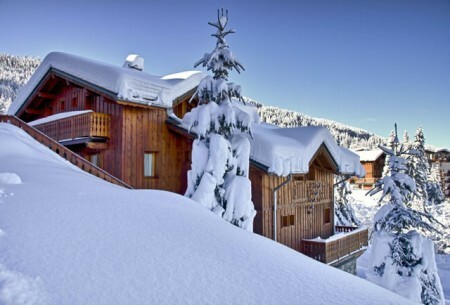 Maison Lorraine - Savoie in Courchevel 1550 has been extended with 9 extra rooms giving a total of 137 beds. New for Winter 2016 is a lift pass covering the huge ski areas of The Three Valleys, Paradiski (Les Arcs / La Plagne) and Espace Killy (Tignes / Val d'Isère). 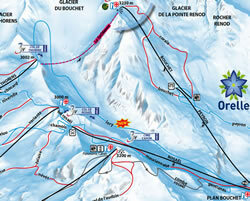 With 5 glaciers, 1300km of pistes, 391 lifts for 6, 7 or 8 days it costs €340, €390 & €440 - no other discounts. 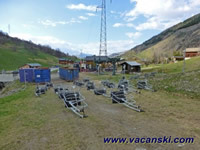 The 6 day 3V pass concession at Paradiski, Killy etc is no more. 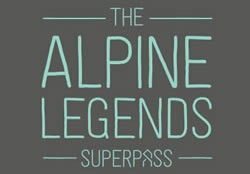 A 3 Valleys Season Pass gets you a 3 day consecutive day pass at Shiga Kogen in Japan and Mt Buller in Australia. 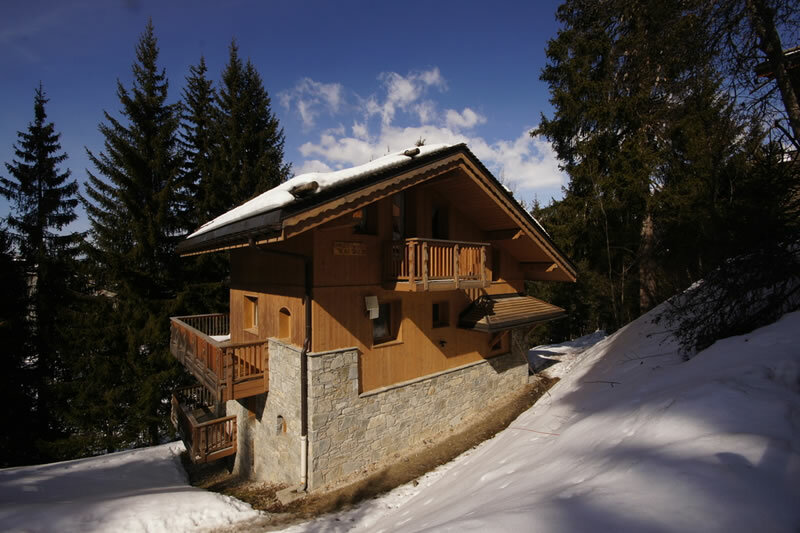 The Free Ride Republic has added a new chalet in La Tania to their portfolio. 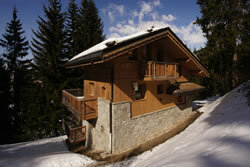 The 16 bed Chalet Topaz with 8 en-suite rooms and outdoor hot tub is just above the La Tania Gondola Station. 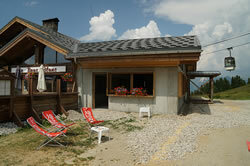 Welcome to La Tania for Ski Someday who are offering Catered Chalet holidays in Chalet Natasha 1 and 2. 2 self-contained units each sleeping 10 people but which can be combined for large groups. 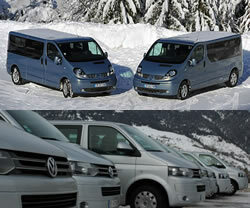 Ski Total operate in 20 resorts across the Alps offering catered chalet package holidays. 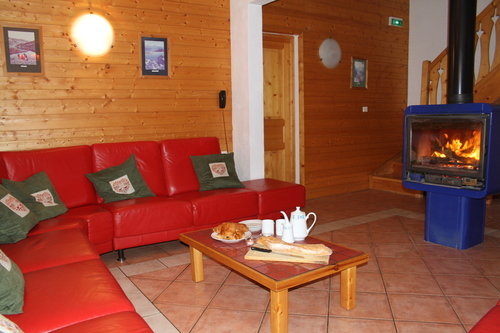 For Winter 2016 they have Chalet James and Chalet Beau Vallon both located close to the slopes. 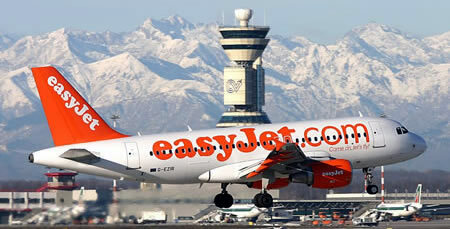 easyJet will operate an amazing 75 flights on peak Saturdays just from the UK to the airports of Geneva, Lyon & Grenoble for the 3 Valleys in Winter 2016. easyJet flights for Summer 2016 go on sale on 22 October. Inghams will operate charter flights from Cambridge airport to Chambéry on Saturdays in Winter 2016. 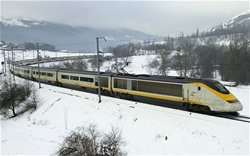 Eurostar launched a new year round service this Summer from London to Lyon from £89 return. On the way back to the UK, customers need to leave the train at Lille for check-in and security checks. It should be possible to get a direct train to Moûtiers from Lyon during Winter too - a connecting service meeting the Eurostar would be nice! 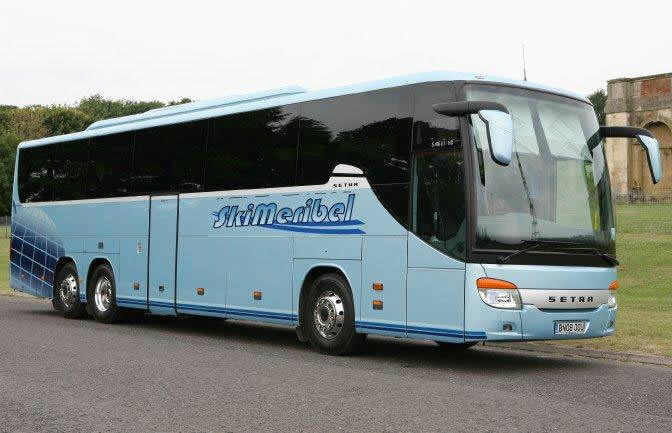 Ski Méribel have a new luxury sleeper coach leaving every Friday afternoon from Bedford, London Victoria & Dover to Méribel and La Tania. Prices from £139 return, 8 days skiing and no expensive baggage charges on top. 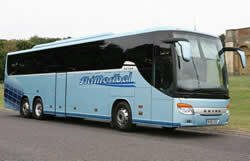 Due to de-regulation of scheduled coach services in France (they used to not be allowed to compete with the state owned SNCF railway believe it or not) there will be more option this Winter. 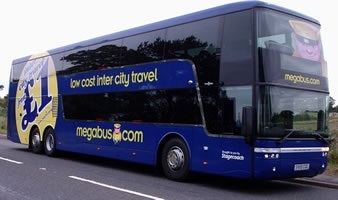 Megabus have already launched a London to Lyon service via Paris and National Express are likely to follow suite too. Snowbound Transfers and Three Vallee Transfers new Le Van Rouge will be operating shared scheduled transfer shuttles every day for Winter 2016. Check out their websites to co-ordinate your flight timings with their shared offerings. 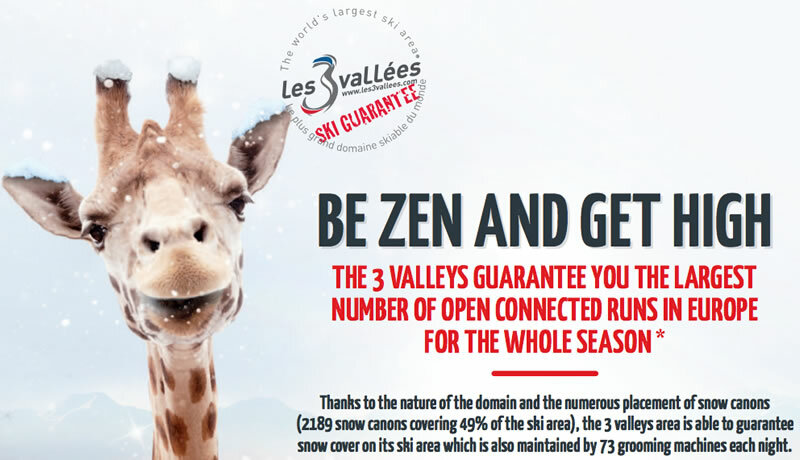 Val Thorens has led the way with this, but now there are free WiFi zones in the Méribel Valley (Chaudanne, Altiport, Saulire, Mt Vallon base, Tougnete & Moon Park) and one in the Courchevel Valley has been added too for Winter 2016, located at Vizelle - top of Vizelle, Suisses and Marmottes lifts. It is no more... What was that all about? Top right is the new mountain hut,weather station and avalanche control lookout at Col de la Loze next to Dou des Lanches chairlift above La Tania. 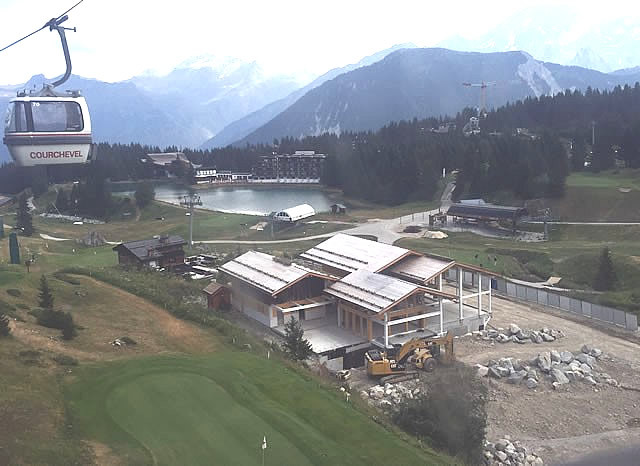 A new webcam was installed here this Summer and will scan across the valley over La Tania, the Gondola Station and up to Chenus (where there is also a new camera) and the top of the Lanches chair. 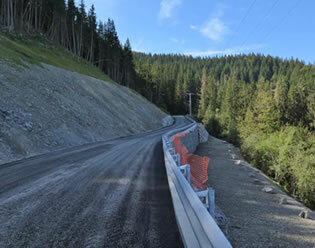 The La Tania to Méribel Village road re-opened a few weeks early after having been closed all Summer. We're not sure if it's completely finished yet or not. Rumours were of some closures next Summer too. Just about all inter-season residents have cute dogs now. The bakery in Le Praz is to close after 25 years - where will all the chalets go now? 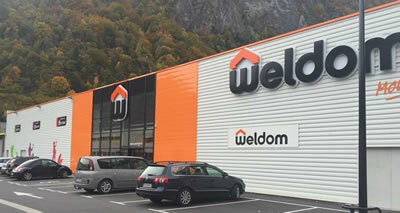 There's a new Weldom store in Moûtiers, much bigger that the previous one and will save many trips to Albertville for essential building, decorating and general DIY kit. Open from 09:00-12:00 and 14:00-19:00 every day except for Sunday when it's closed all day. Bluetooth headsets for hands-free operation of mobile phones (and the use of headphones) while driving are illegal in France from 30 June 2015. The 2016 Tour de France hits Albertville on 22 July 2016 and of course the Euro 2016 tournament is across the whole of France from 10 June until 10 July 2016.
easyJet Summer flights through to 4 Sep 2016 went on sale on 22 Oct 2015. The Daily Express warning of extreme Winter weather in Autumn 2012, 2013, 2014 and 2015 !!! Lots and lots of talk in the media around El Niño effects and the cold area water in the North Atlantic with what effects this may have on a snowy Winter in the UK and Europe. In reality while there are trends in the US the outlook for Europe is unpredictable as usual. There is a Met Office Blog about El Niño and Winter with further explanations and their 30 Day Weather Forecast is here. Courchevel holds the World Cup Women's Slalom for the 6th consecutive year on 20 December 2015. 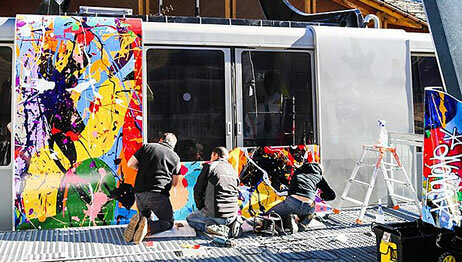 La Tania will hold its 25th Birthday in April 2016 with various events and promotions. The La Tania Charity Family Fête will be held on Easter Monday 28 March 2016. 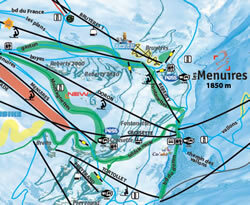 Les Menuires hosts the French Alpine Ski Championships from 22 to 31 March 2016. 3 Valleys Charity Day in Méribel Village takes place on Wednesday 6 April 2016. 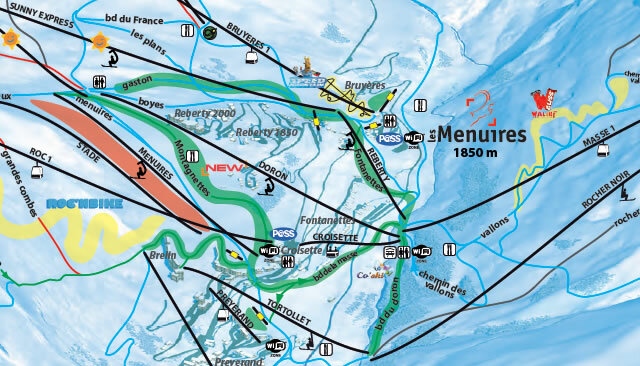 Méribel hosts an ISF men’s slalom stage on 29/30 December, and a women’s Downhill & Super-G on 27/29 January 2016. 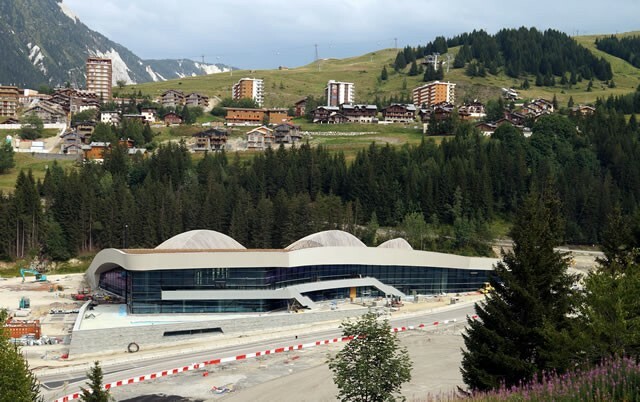 Méribel also hosts the European Speed Skiing Cup on 23/26 January 2016! 11–13 April sees some 60 Michelin-starred chefs compete in parallel slalom. We hope to see La Tania’s own Michelin Chef Julien Machet from Le Farçon competing in this! Courchevel-Méribel have put a joint bid in to host the 2023 Alpine Skiing World Championships. The French bid selection will be decided in 2016 before the actual organisers decision in 2018. 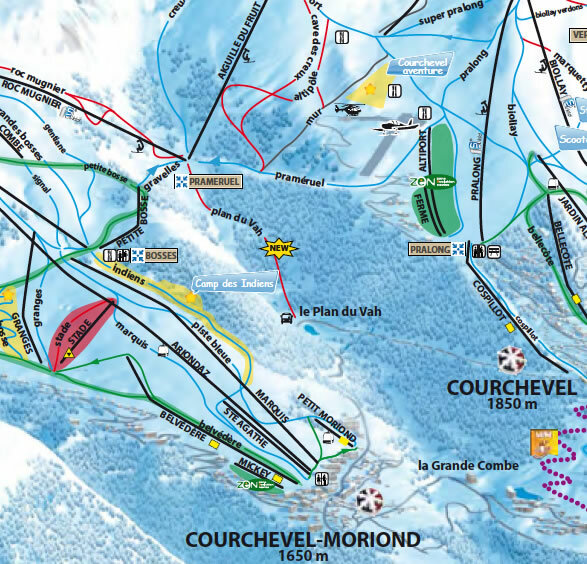 In France, Courchevel-Méribel are up against Chamonix and Val d'Isere. 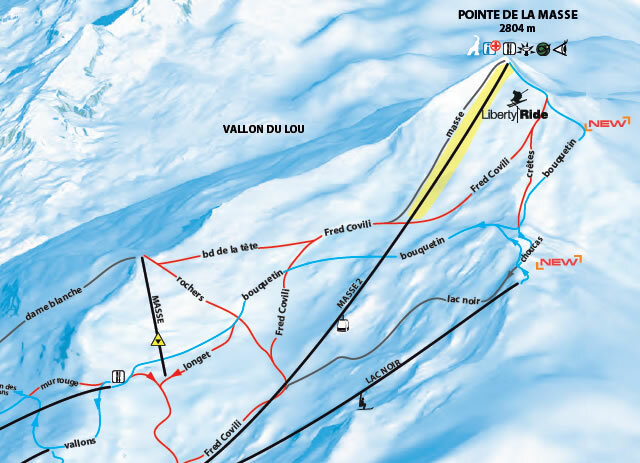 The Free Ride Republic, Nick Ski, Snowbound Transfers, Pub Le Ski Lodge, 3 Vallee Transfers, Vacanski, S3V, Les 3 Vallees and the resort Tourist Offices.